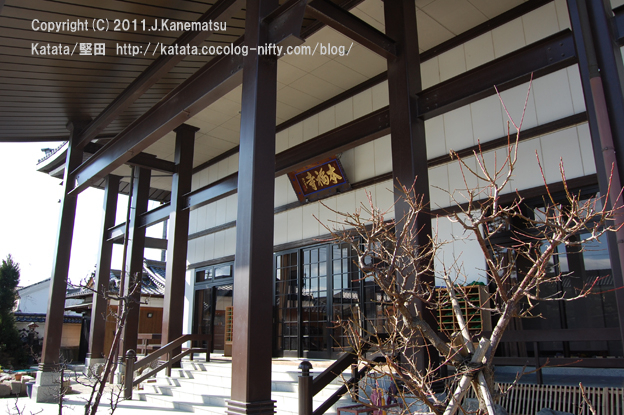 2010.01.09　11：25：26"Kura (storehouse) of Honpuku-ji temple"
2010.01.09　11：25：10" Plum tree and main hall of Honpuku-ji temple"
2010.01.09　11：26：20" The pine tree at Honpuku-ji temple"
2010.01.09　10：12"An alley at Honkatata"
This is the statue of Rennyo in Senpuku-ji temple in Katata,Japan. 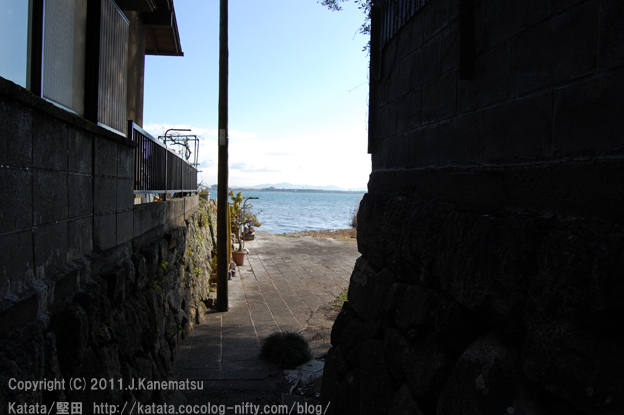 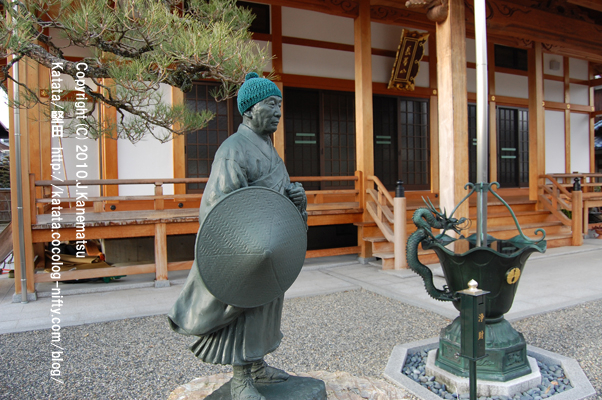 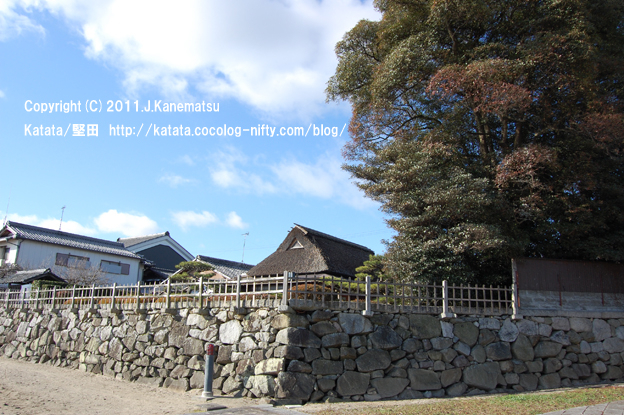 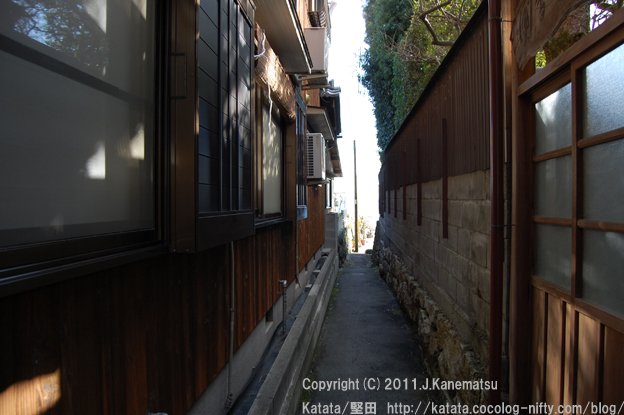 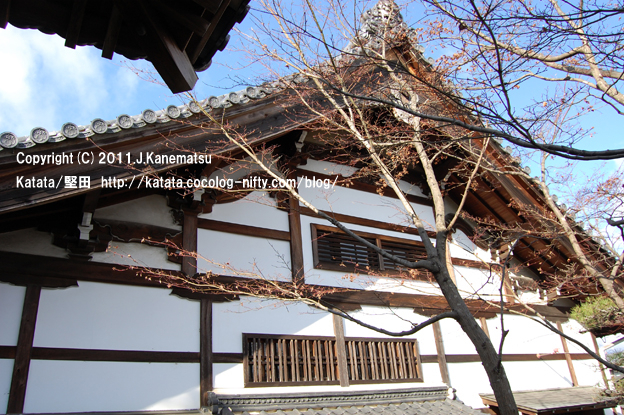 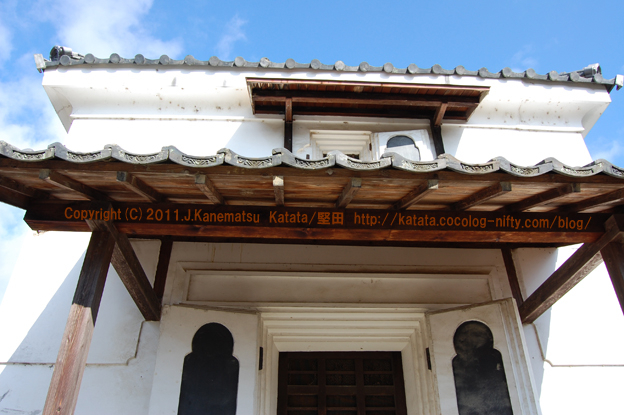 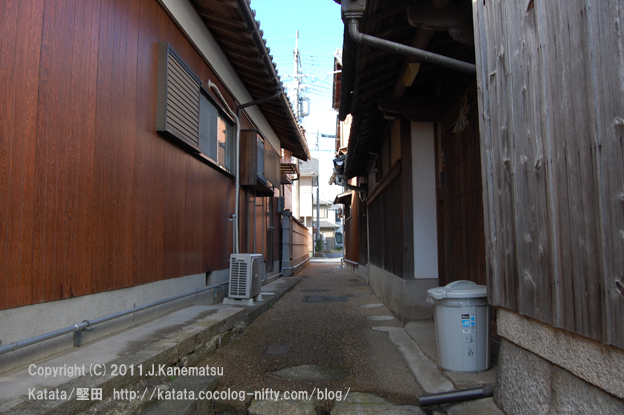 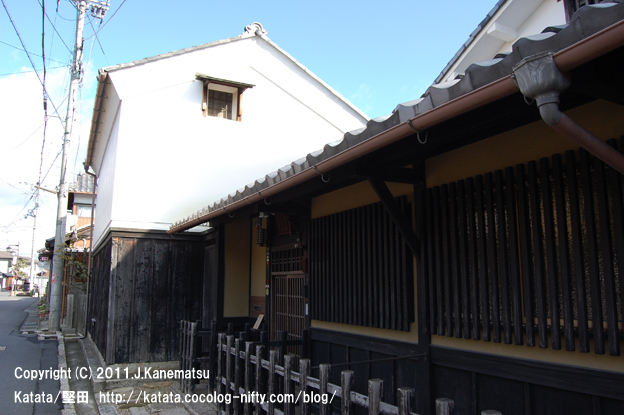 Katata has the history which protected Rennyo, and is a religious town to Rennyo. 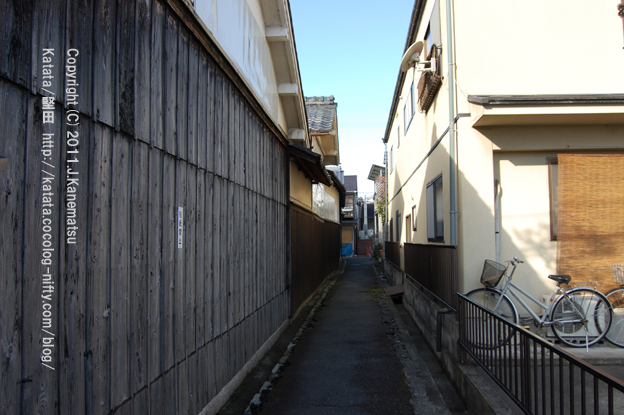 more distant place from Kyoto. 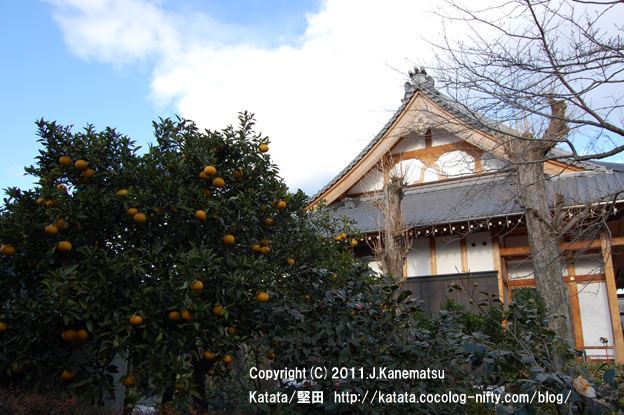 2010.01.09　15：09　"The statue of Rennyo with green wool hat"
2010.01.09　15：10"Senpuku-ji temple and Citrus natsudaidai Hayata "
Cherry trees, Mikami-yama Mountain ( Omi-Fuji ) and Lake Biwa. 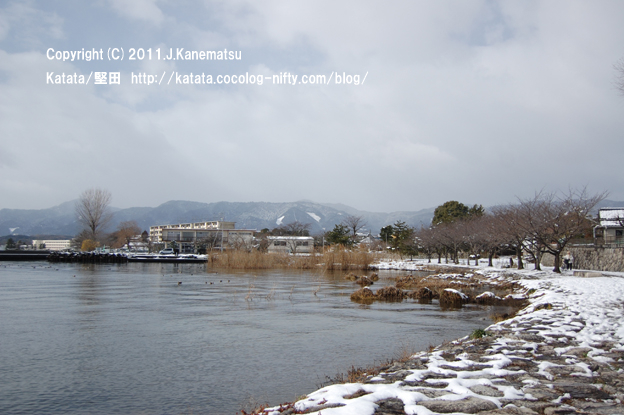 A snowy day at the waterside in Lake Biwa,Japan's largest lake. 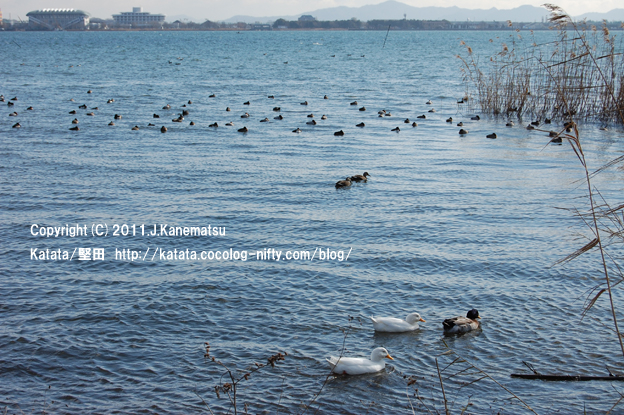 This is the most beautiful place in Honkatata,Japan. 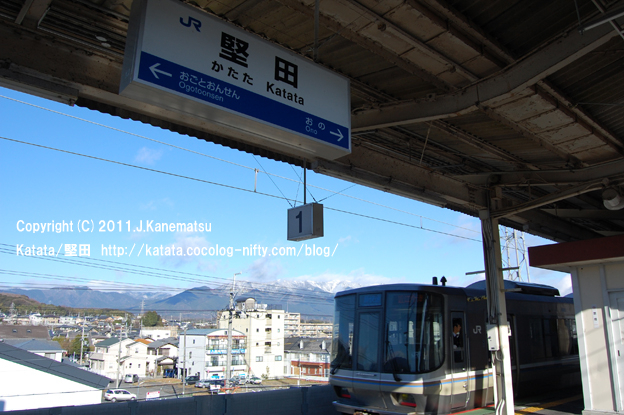 It takes about 20 minutes by JR train from Kyoto. 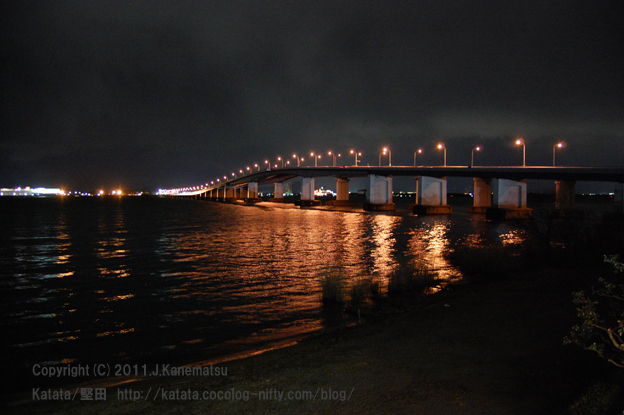 "A snowy day at the waterside in Lake Biwa 2"
"A snowy day at the waterside in Lake Biwa 1"
2011.02.12　20：29"A night view of the Biwako Ohashi Bridge"
2011.02.12　17：44"The twilight of winter at the Lake Biwa shore"
Biwako Ohashi Bridge in winter.A ship goes the bottom of the bridge. 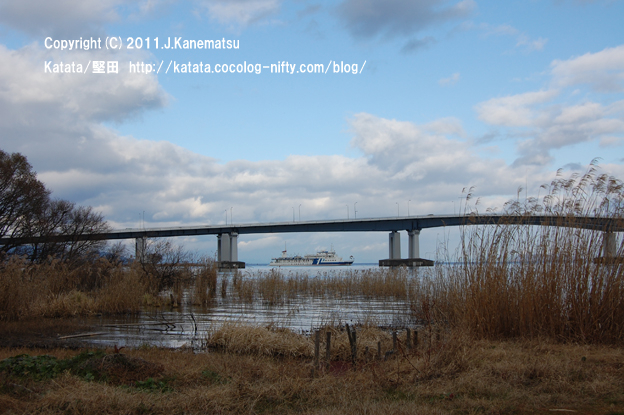 2010.01.09　14：42"A ship goes the bottom of the Biwako Ohashi Bridge"
in Katata Inner lake.An inner lake means the water area which is around Lake Biwa. 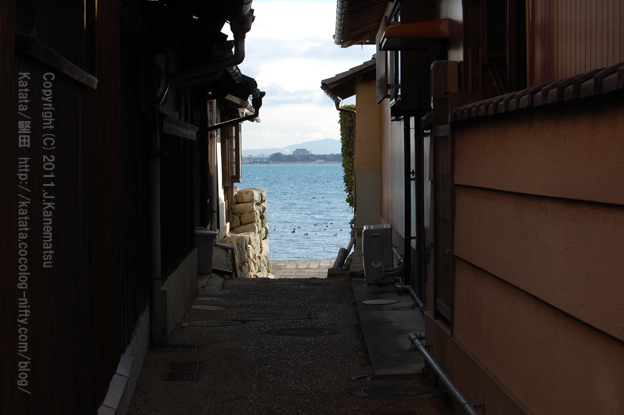 2010.01.09　10：07"Boats for the work of cultivating freshwater pearls"
2010.01.09　10：24：58"An alley which follows each house from Lake Biwa"
琵琶湖岸から撮影しています。 The tea house known as Tennenzue-tei. 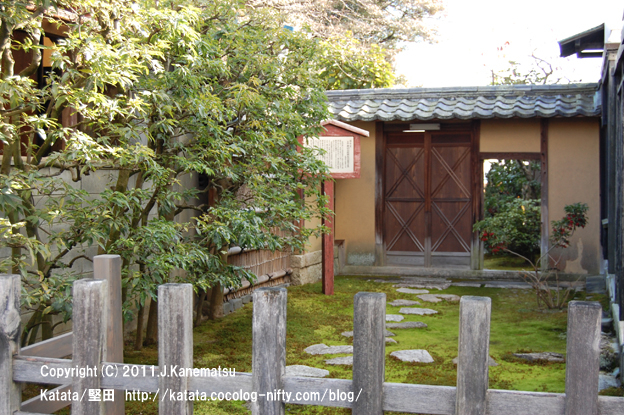 Isome-shi Garden, anoter name Tennenzue-tei Garden.This is a Japanese garden made before 1681. 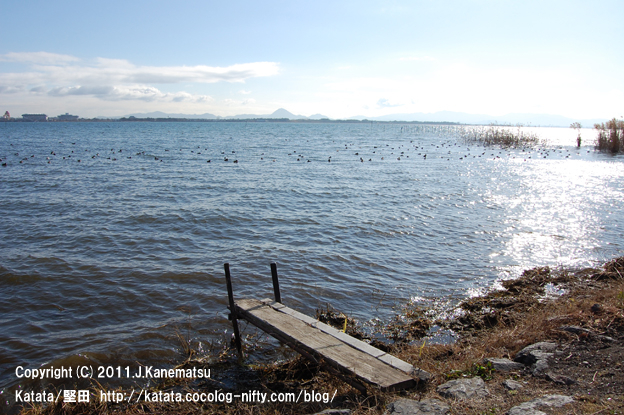 It is the scenery of Lake Biwa and Mikamiyama which spreads in the face of the Isome-shi Garden. 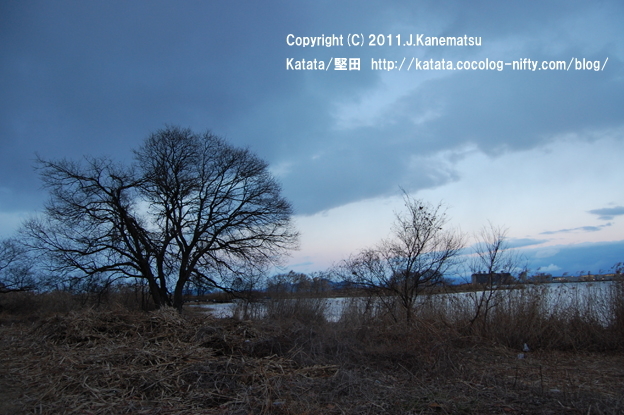 I'm wishing sincerely that there is this beautiful landscape forever. 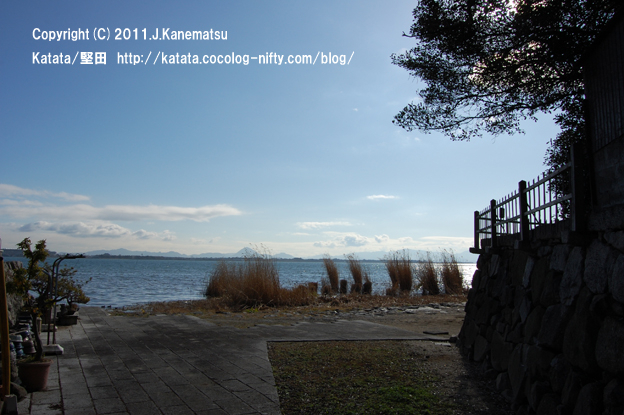 2010.01.09　10：23：54"Isome-shi Garden ( The tea house known as Tennenzue-tei )"
2010.01.09　10：24：58"The scenery of Lake Biwa ( in front of Isome-shi Garden)"
2010.01.09　10：22：02"The alley of Isome's residence 1"
2010.01.09　10：22：18"The alley of Isome's residence 2"
2010.01.09　10：22：24"The alley of Isome's residence 3"
Isome-shi Garden.This is a Japanese garden made before 1681. 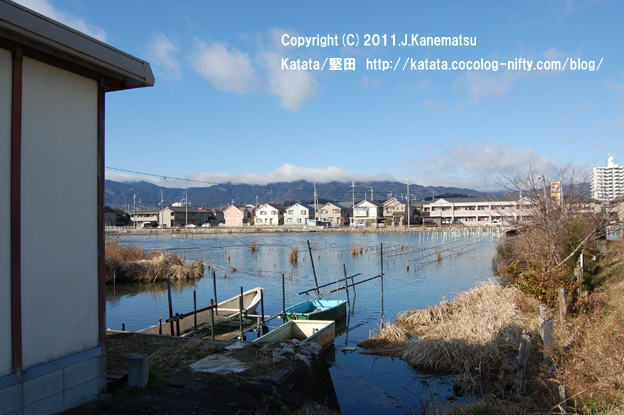 Photograph of Honkatata,Otsu,Shiga,Japan　Honkatata　2010.01.09　10：21：06"The Isome residence"
2010.01.09　10：21：14"The blue sky over the Isome residence"
Lake Biwa and Katata harbar.I took this photograph on the pier of the Katata harbor. 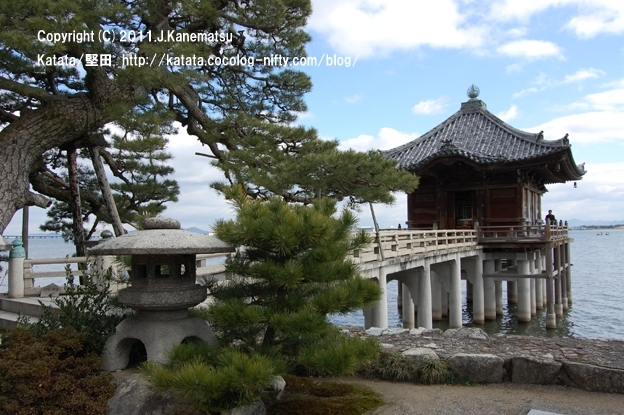 Ukimido Temple and the Katata police box on the Lake Biwa. 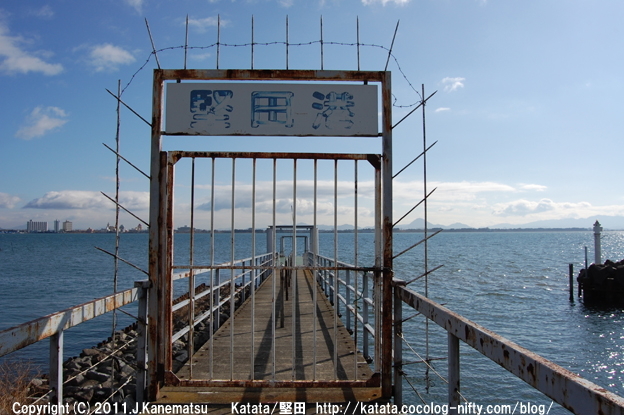 The official name of police box says "Otsu north police station Katata water police box". 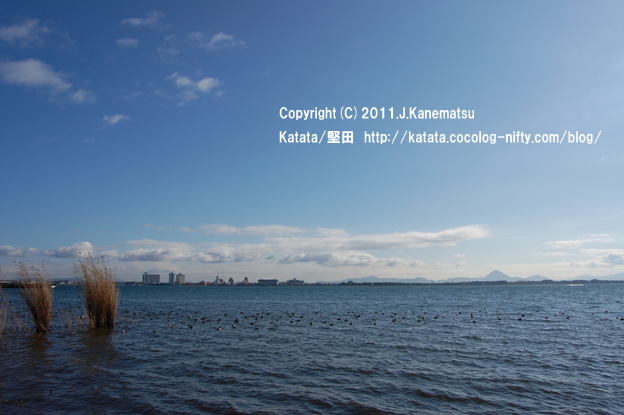 I took this photograph on the pier of the Katata harbor. 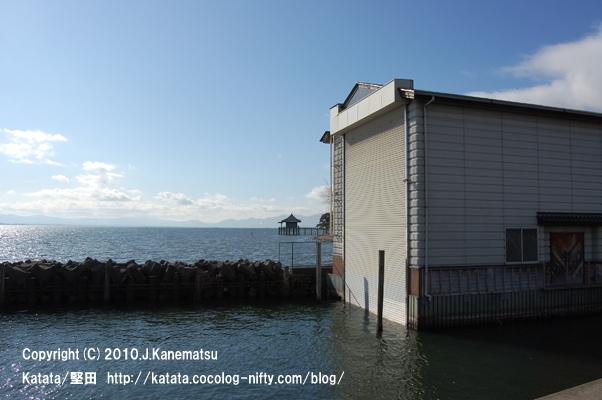 2010.01.09　10：30：48"Lake Biwa and Katata harbar"
2010.01.09　10：30：12" Ukimi-do Temple and the Katata police box on the Lake Biwa""
2010.01.09　10：26：50"Ducks and ｗaterfowls in Lake Biwa"
2010.01.09　10：25：44"An alley where the Lake Biwa is seen"
2010.01.09　10：18：24"Lake Biwa and Mt.Mikami;Near the Katata harbar"
The snow-covered landscape of JR Katata Station.The train bound for Kyoto departs soon. 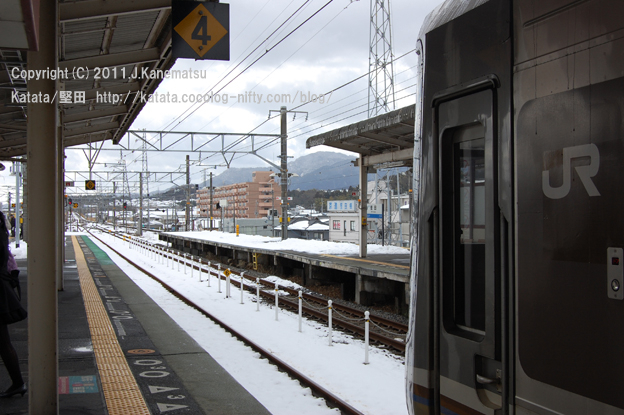 2010.02.07　12：41"The snow-covered landscape of JR Katata Station, and the train bound for Kyoto"
JR Katata Station and the snow-covered landscape of Mt.Hira. 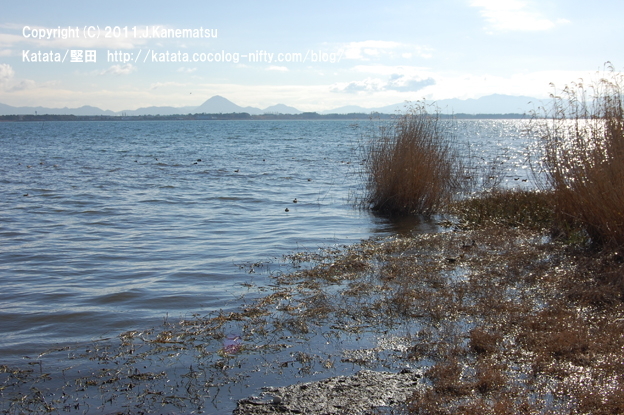 2010.01.09　09：38"JR Katata Station and the snow-covered landscape of Mt.Hira"
This is Lake Biwa,the biggest lake in Japan. 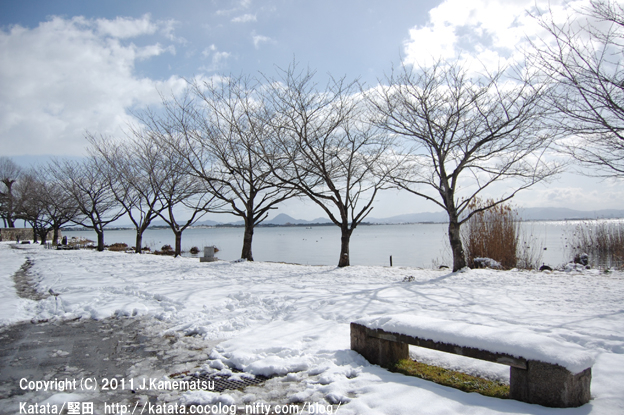 2010.01.09　10：23 "This is Lake Biwa,the biggest lake in Japan"
Quiet morning of winter at Syouzuiji temple（祥瑞寺）. 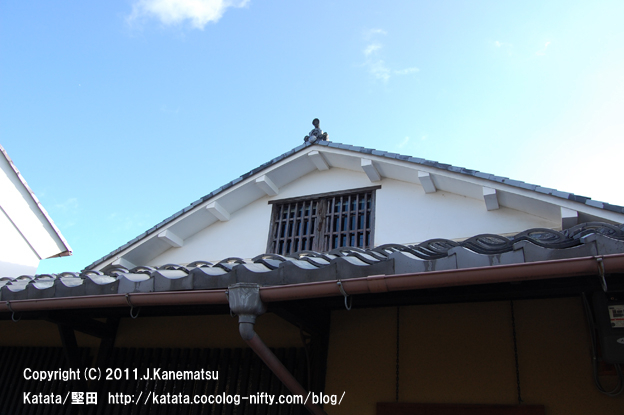 2010.01.09　10：46：04"Quiet morning of winter at Syouzuiji temple（祥瑞寺）"
The bell tower of Syouzuiji temple（祥瑞寺） in the morning. 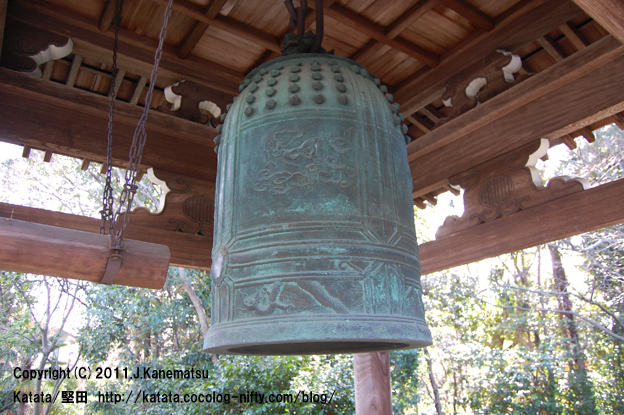 2010.01.09　10：46：48"The bell tower of Syouzuiji temple（祥瑞寺） in the morning." 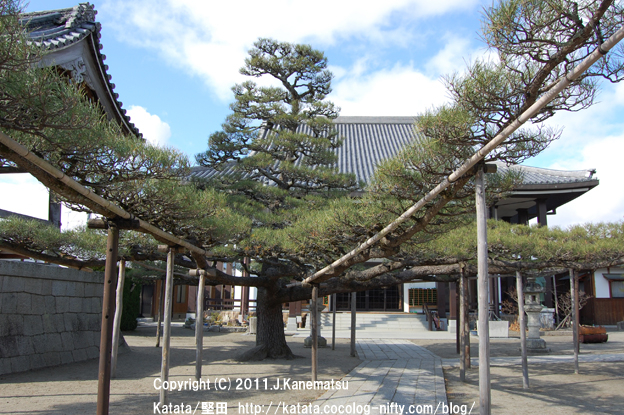 Photograph of Honkatata,Otsu,Shiga,Japan Ukimido Temple 2010.01.09　10：45"This is Ukimido Temple." 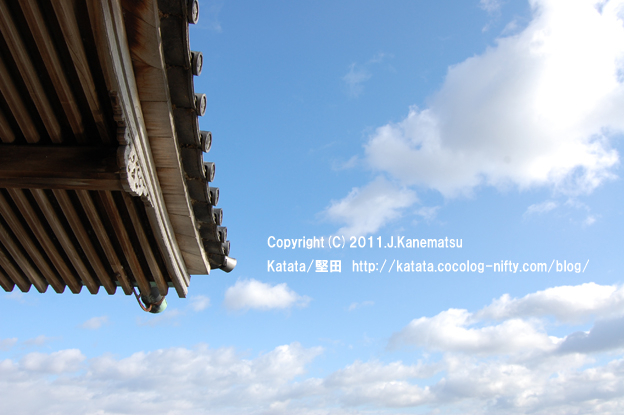 "Roof of Ukimido temple, and the winter sky"